Experience something new, go on tiny adventures, and make every one of them count! When you've been functioning like a robot every single day, it can seriously be exhausting. You wake up, you drink your coffee, you trudge to the shower, you dress up, you’re out the door, you hop on the train—you’re on autopilot the whole day without realizing your entire routine is a creativity killer and an energy vampire. 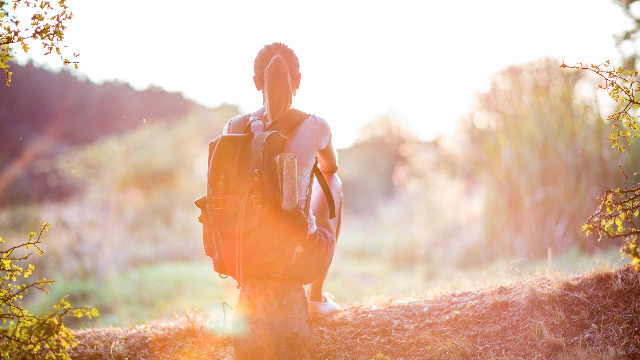 Of course, you’d gladly find all the ways you can spice up your routine, have more fun, and really live life to the fullest—if you only had more time and energy. However, you don't need a lot just to shake things up. Here are some easy-to-do life hacks to livin' la vida loca. 1. Tweak your morning routine. Wake up an hour earlier, so you don’t feel so rushed—take your sweet time dressing up to a Beyonce track, meditating, or cooking good breakfast. Change things up a bit, and you suddenly realize you do have control over your day! Switching to another mode of transpo will make you see your city in a whole new light. It’s almost like traveling in a different country. Why don’t you pick any of Froehlich Tours’ routes? The bus company has rolled out spankin’ new buses with nonstop journeys from major business hubs. If you want something on a smaller scale, you could simply walk a different route to work. 3. Experience a different kind of Friday night. Step one of your adventure-seeking: Look up. On a beautiful, clear night, grab a blanket and a bottle of wine, and find a great spot. There are a dozen apps to help you figure out the constellations. Our faves: SkyView® Free, for astronomy beginners; Moon Globe, to explore the surface of the moon; the free app Star Chart, which allows you to look at the sky from another location; and Night Sky, which pulls up a map of the universe. 4. Be a freeloader for a day. 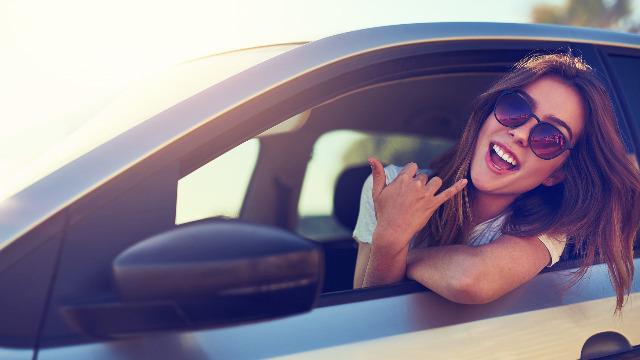 So you can’t afford a new car, a new look, or a luxurious meal… but that shouldn’t stop you from living like a boss—for one day, at least. Hit up the nearest dealer to test drive a sports car, get a free makeover at the mall, window shop to your heart’s content (try on all the clothes while taking snaps), and knock your taste buds out at food fairs and kiosks at the grocery. 5. Try a random act of kindness. For a legit feel-good rush, do good for someone who least expects it. Happiness experts say we get more GV when we spend for someone else as compared to spending for ourselves. The act of giving fires up the part in our brain where pleasure, joy, and trust reside. A solid suggestion: Find an old bag you no longer need, fill it up with goodies, and give it to the next homeless lady you see. 6. Watch a live show. Here’s a hard-to-resist walwal idea: Go watch a live show, whether it’s for an open mic night, a comedy show, or an acapella performance. We’ve been communicating with the world behind our phone or tablet screens that we might’ve forgotten just how invigorating it is to be in the middle of a crowd. Plus, you may even meet new friends. 7. Take the road less traveled. Instead of sticking to those usual destinations like Tagaytay or Boracay, why not explore lesser known (and less crowded) destinations in and out of the metro? It could be as simple as gallery hopping, or you could tick off Spot.ph's 10 new Philippine destinations bucket list one by one. 8. Make the first move. This is probably one of the hardest things in the world to do because of rejection. Men, too, are scared and have zero clue on approaching women—and yet they’re expected to act like they should know what they’re doing. The worst thing in the world that can happen is, well, getting rejected—but then again, you’d have material for a fun story to tell in the future. We’re not talking long term commitment; we’re talking about a short side trip away from your comfort zone. If you’re a deliberate decision maker who agonizes for hours, try making a snap judgment call for once. Say yes to a project you think you can’t do. Agree to an impromptu trip. Ask for apple juice instead of orange. Push yourself to try things you’ve never done. You just might surprise yourself. 10. Just wear it, and own it. We’ve all had secret sartorial ambitions we’ve never actually had the courage to make a reality. If you’re too petrified of getting judged (because who isn’t) for wanting to look like your celeb crush doppelganger, go subtle, and start on a smaller scale with accessories: jewelry, belt, handbag, shoes. When you change your style, you can change your life. 11. Try different kinds of workouts. Is your gym starting to feel like rat lab already? Why not sign up for unique fitness membership programs like KFit? Take pole dancing classes, train like a warrior at the Ninja Academy, or even experience the thrill of flying through a trapeze. You can also join the Nova Life Active Pass and give yourself a chance to try a range of fun activities to kickstart your active lifestyle - choose from activities like boxing, wall climbing, or even ultimate frisbee. 12. Try an all-time fave snack in an unexpected flavor. You have your comfort snacks, but then some days, you just need to level up. 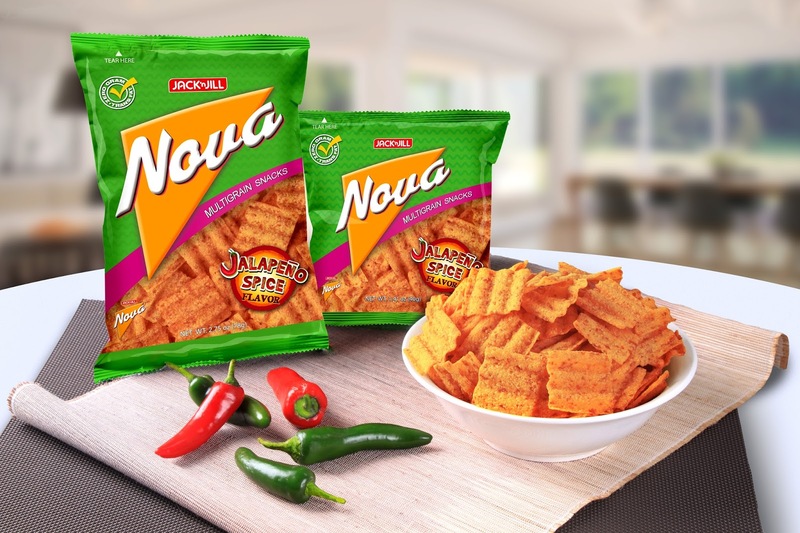 Our favorite: Nova’s Jalapeño Spice flavor is the taste of a familiar favorite with an unexpected spicy kick. Now that’s the kind of adventure you don’t even have to get out of the couch for. Know more about Nova's newest flavor by checking out their Facebook page.